The Outwell Campo XL is designed for the kind of person that really enjoys the simple pleasure of a great sitting experience. 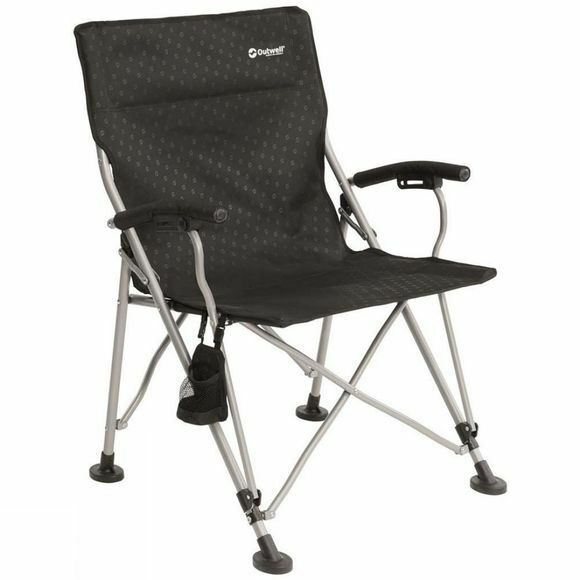 With a wider and higher backrest than the standard offering and coming in a black colour-way for supreme practicality in the outdoors, this lightweight chair is easy to carry from the car to the tent. But wait, there's more! Featuring padded arm-rests, a detachable cup holder for your beverage of choice and oversized feet for enhanced stability, you really can't go past the Campo XL for the premier sitting experience while enjoying the outdoors.